stock image of Acrobatic Yoga. 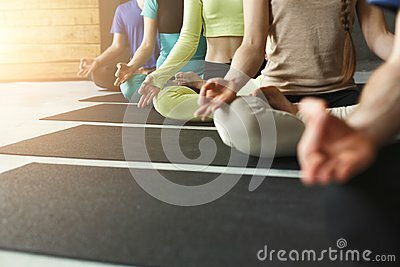 stock image of Young people in yoga class in lotus position. Yoga group concept.